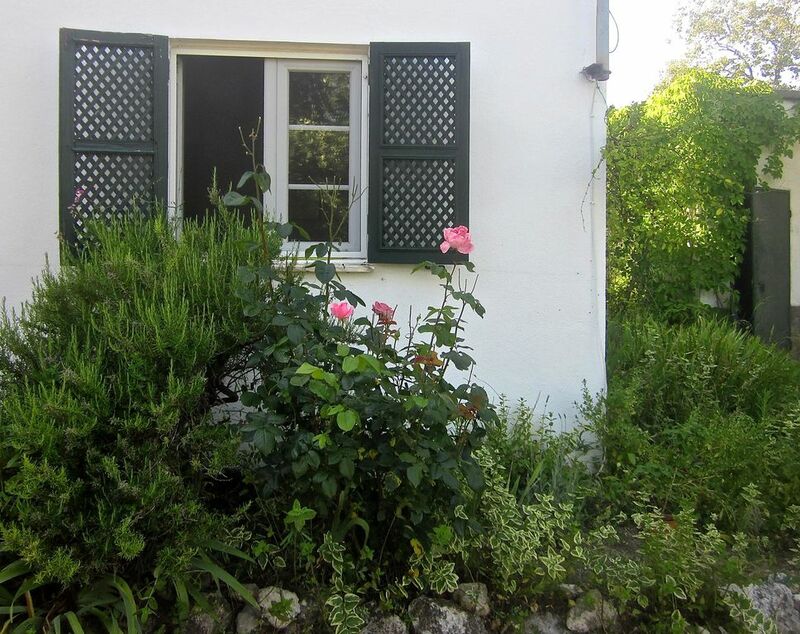 In rural surroundings amidst olive and fig trees is this inviting country cottage. The dwelling is situated on a large enclosed private property together with a larger family house and another tourist apartment. The cottage has been modernized and offers a spacious living room with open kitchen area. There are two bedrooms, one with a double bed and one with two single beds. The ensuite bathroom has a shower, as well as a bidet. It has a private yard with barbeque and private parking. On hot summer days guests are welcome to use the large swimming pool. CASAL DAS TÍLIAS is a small rural property in the Ribatejo region of Portugal. The house and grounds are set on a slight hill overlooking picturesque valley of olive groves and fields. The location is easly reached from a municipal road (EM 539) connecting the villages of Lamarosa and Pé de Cão. Due to its quiet location and lack of industry the countryside is full of songbirds and wild flowers which can be observed in walks across the meadows surrounding the house. Within easy reach are small villages and some historic towns, such as Tomar (known for its Templar's history), Torres Novas and its castle, as well as Entroncamento, town for railway enthusiasts. A little farther are the Sanctuary of Fatima and Coimbra with it's ancient University (Its history dates back to the beginnings of the founding of the Portuguese nation, in 1290, created by King D. Dinis I). Not far away is the Dam of Castelo de Bode which supplies drinking water up to Lisbon. The Tagus river is also near and invites with the small island of Almourol and a picturesque ruined castle. Also within easy reach is the historic village of Constancia with its association with Portugal's great classic writer Luis Camões. In another direction lie the grottos of Santo Antonio and Mira de Aire and a national monument where Dinosauros tracts may be observed. Casal das Tílias is set in the "real" still largely unknown interior of Portugal and an ideal location for a few days exploring this fascinating area. this house is equipped with a septic tank, to avoid costly repairs it should not have paper, hair, cigarette beads or other debris. use the dustbin for this purpose.